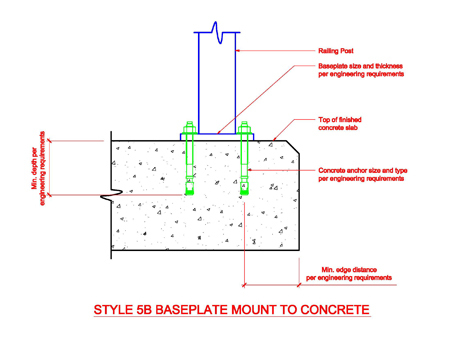 The most popular method of installation in concrete slabs, curbs, walls and stair treads. Holes are typically core-drilled, formed with preset block outs or preset sleeves of various types. 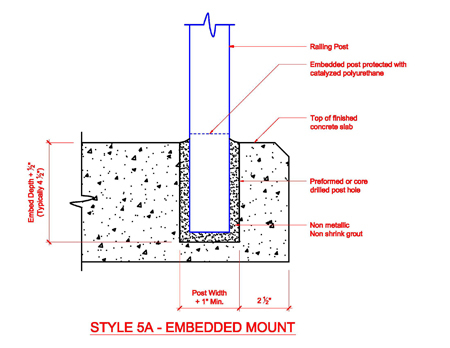 ATR can provide standard bead-board (Styrofoam) block outs with any order using this method. When concrete depth or embedded items require, this method offers quick installation of railing parts using drill-in anchors. 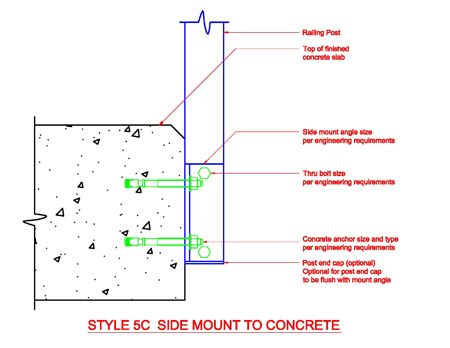 The project engineer may require chemical anchors or embedded anchors. 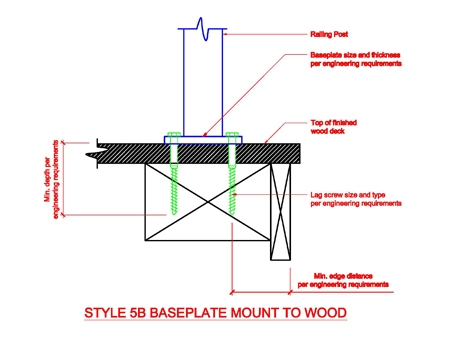 When wood construction methods are utilized, base plates offer the most economical method of attaching the railing parts system to the walking surface, adjacent curb or other level surface. This method offers quick installation using lag bolts or through-bolts. The project engineer may require additional blocking and structural support. 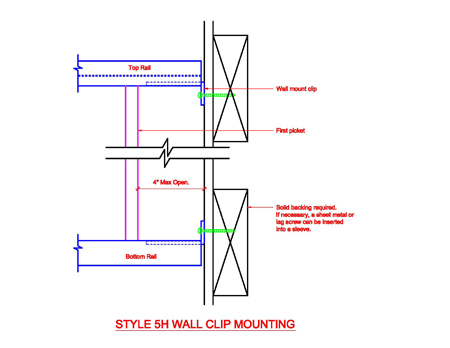 When construction methods require, various side mounted methods are available for attaching the railing part system to the balcony, stringer or other vertical surface. This method offers quick installation using properly selected anchorage devices. The project engineer may require additional blocking and structural support. 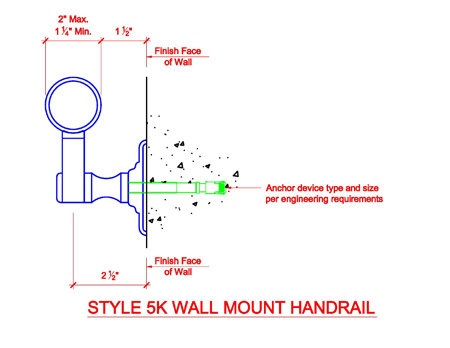 Railing part system units may terminate with attachment to the vertical walls of the building. Standard design includes aluminum angle clips. Anchor type, backing and structural support are determined by the project engineer. Standard brackets are machined from aluminum stock with adjustable saddles to assure proper alignment. Brackets are required at 48 in. o.c. max. Anchor type, backing and structural support are determined by the project engineer. Located in Southern California Aluminum Railing Parts Specialist World Wide. Call Us for a Quote on your next rail mounting for details of installation on your aluminum railing systems. ATR Aluminum Tube Railing is located in Pomona, LA Los Angeles County between Inland Empire and San Gabriel Valley west of Riverside and San Bernardino north of Orange County and San Diego. ATR manufacturing and installation of aluminum railing parts systems across USA and Worldwide.